Here I am, a tired old man on a beautiful spring day in Virginia, trying to make sense out of a furiously modernist poet. It isn’t going to be easy for a cantankerous formalist like me, but I’m determined to try. Another poem about family, ‘Daddy and the Cicadas’, present an eerie mix, memories of a father in life and visions of him in the grave, where “he eats cicadas/like a wild bandit/when they crawl on the ground/every 17 years.” Other poems memorialize a mother, a grandmother (who “ate gefilte fish along the Formica/counter where Mickey Rourke/spilled beer in The Wrestler”), and an aunt (‘Mima’). In general, these poems show the deepest feeling and, if the ethnic, religious references are no problem, the most accessible. Some aspects of Ms Levine’s work I have to report, however, still give me cause for regret or even lamentation. First is the troublesome matter of references. 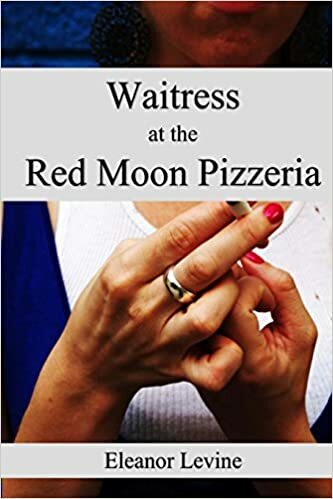 Apparently the poet expects her reader’s background to include a New York baseball legend (Daryl Strawberry), current media figures (Adam Sandler, Howard Stern), as well as extensive knowledge of the Yiddish culture in which she grew up (she does supply some footnotes–shades of T.S. Eliot). but only a few bulbs flicker. you spoon fed our brother’s thoughts. Yoked together by violence indeed. And note the apparently blithe use of capitals. What am I missing? How is a menorah Hellenistic? Did Neanderthals have beds and, if so, did the beds come in various sizes? Or has the literary imagination just passed me by? Samuel Johnson also said of poets he disliked that “instead of writing poetry they only wrote verses.” Whatever their difficulties of apprehension, their wild turns of thought and sensory assaults, these verses are poems. And we have to remember, Johnson didn’t especially care for Shakespeare either.